A quirky group of dollar store employees take on the absurd struggles of working a minimum wage job. When you’re stuck spending your days at a boring day job, all you want is for something crazy to happen. Luckily for the employees at CHEAP CHEAP something crazy happens everyday. 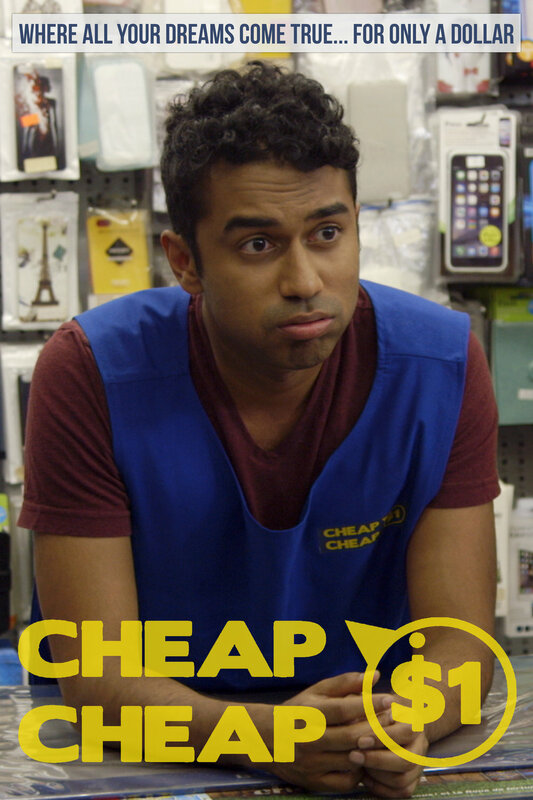 CHEAP CHEAP follows the absurd lives and misadventures of the employees of the franchise dollar store, CHEAP CHEAP. Borrowing from the comedic stylings of Community and It’s Always Sunny in Philadelphia, the world of CHEAP CHEAP makes the absurd feel strangely normal. From dealing with thirteen-year-old drug lords, to fending off violent attacks from rival dollar stores, to a full blown musical revolution; anything that can happen will happen. Throughout the madness of the show, it is very clear that the CHEAP CHEAP staff is not ready to handle any of it… Are you? Franky Films is working with the creators & writers of this hilarious comedy series. We are are now looking to license the project to a local broadcaster in order to produce this fun filled series.